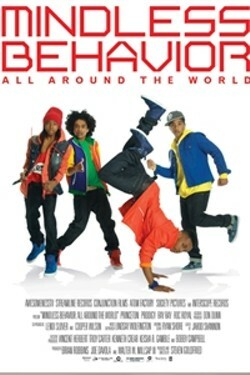 Teen r&b/hip-hop boy band "Mindless Behavior" has been stirring up a frenzy wherever they go, singing and dancing their way into the hearts of millions as they travel across the US on their first major headlining tour. Coming from humble roots and rising to super stardom, Roc Royal, Ray Ray, Princeton and Prodigy hit the road for the biggest tour of their lives. From their early aspirations of becoming stars to fulfilling their wildest dreams, this concert documentary captures the movement that is "Mindless Behavior," which reminds us all that with hard work, confidence and the ability to embrace and celebrate your own individuality, we can all be "Mindless" 24/7.